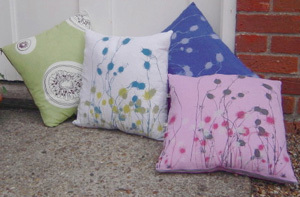 There will be a wide selection of the beautiful Polly's Textiles handmade products available in the studio exhibition. Polly's Textiles are a small scale textile design company who create handmade textile products, all fabrics are hand dyed and screen printed. 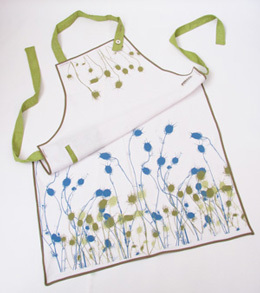 They create textile products such as cushions, totes, aprons and fabric meters and as well as making items to commission.